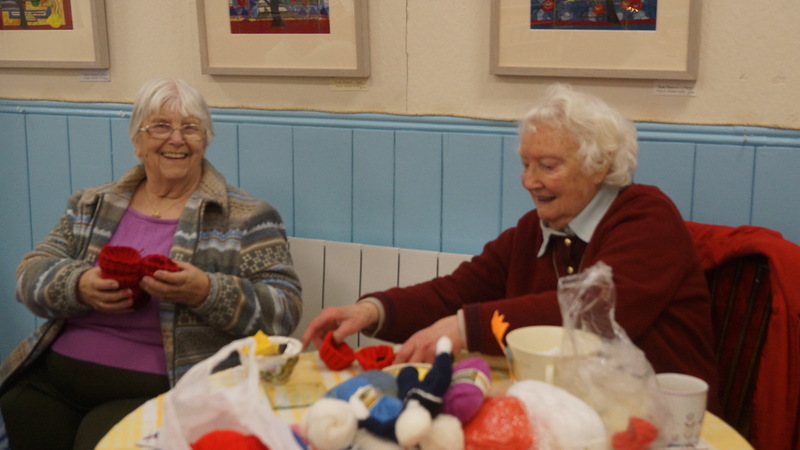 The Kingsdon Knitting Club was formed in 2011 when it was realised that with the busy lives we all lead today there were very few opportunities to sit, relax and chat with fellow villagers. 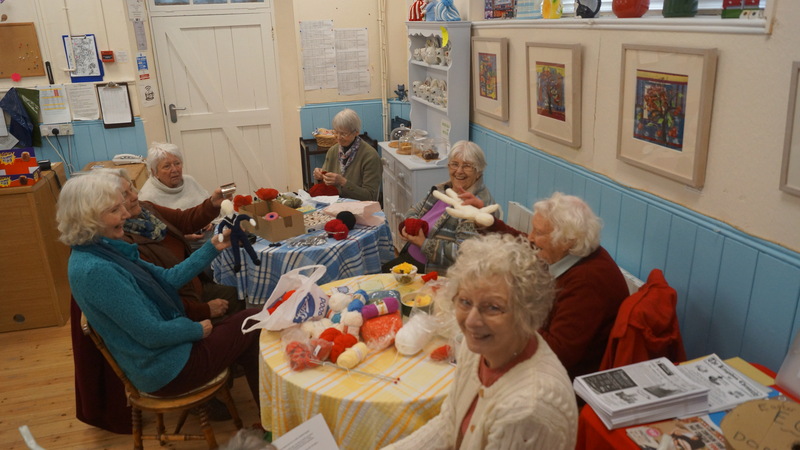 It was decided that a club would be formed, meeting once a month in the Village Hall, and latterly in the Kingsdon Community Shop, were we could chat over a relaxing cup of coffee. 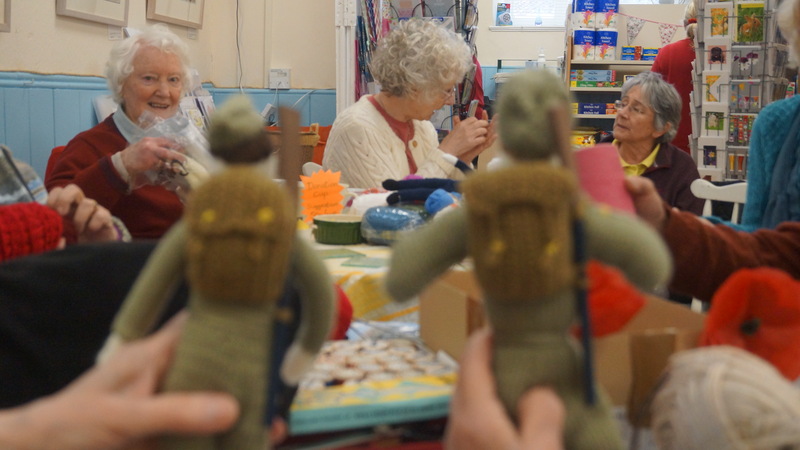 However, it was felt that perhaps a project was needed, preferably to help a charity or cause, and the Kingsdon Knitting Club was formed. 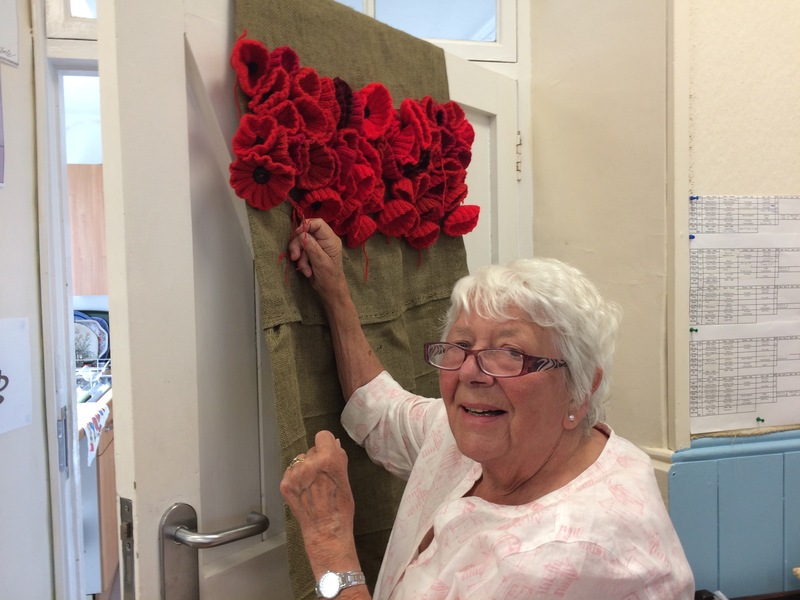 Our latest project, to celebrate the centenary of WW1 at the end of November, is a display in the village church. We are aiming to knit and crochet 1000 poppies, to date we have achieved over 500, add to this numerous knitted dolls, dressed to represent all aspects of life during the WW1 period, including members of the armed forces, nurses etc. 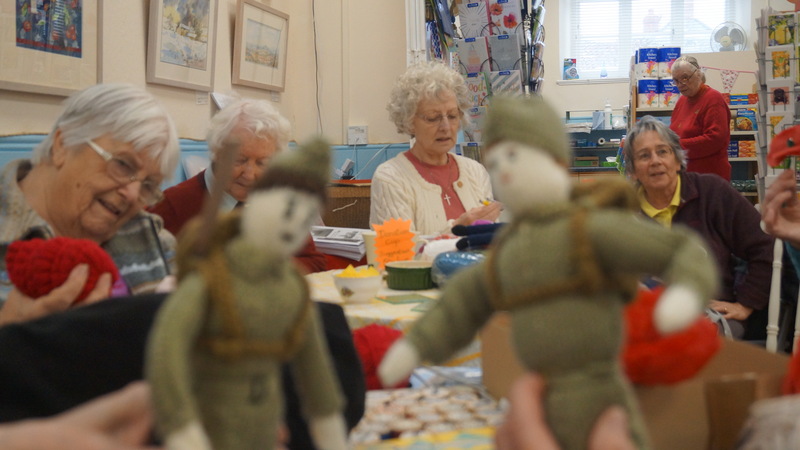 and women who worked hard for the war effort on the home front, we have even included pigeons, dogs and a horse, plus photos and memorabilia of the period, making this our largest project to date. Having a pause from blanket knitting we tackled knitted hedgehogs, not the easiest of things to knit. These were for the Somerset Wildlife Trust to help raise funds and spread awareness for the plight of the hedgehog. We managed to send them 30 brightly coloured hedgehogs. 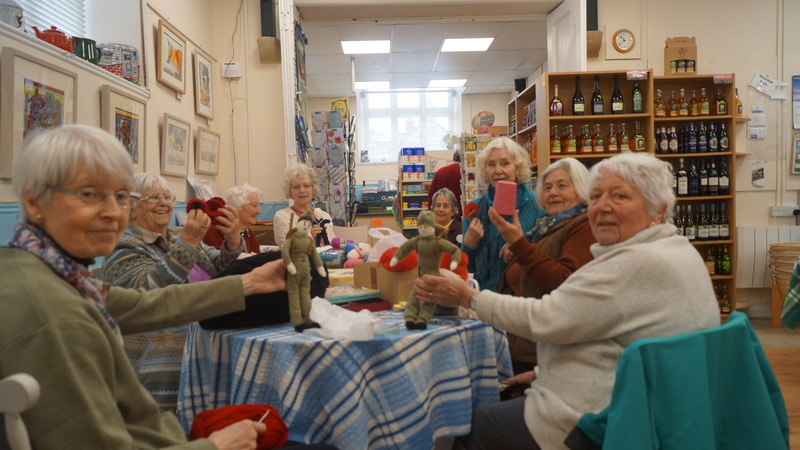 Other projects we have been involved in since the knitting club started include making poppies for the Devon Show in Exeter, knitted owls to sell for the Kingsdon Community Shop. Tea Cosy on a royal theme, also to sell in the shop, and little vests for the ‘Fish n Chip’ babies in Africa, so called because often the new born babies are wrapped in newspaper, through lack of blankets and clothes. 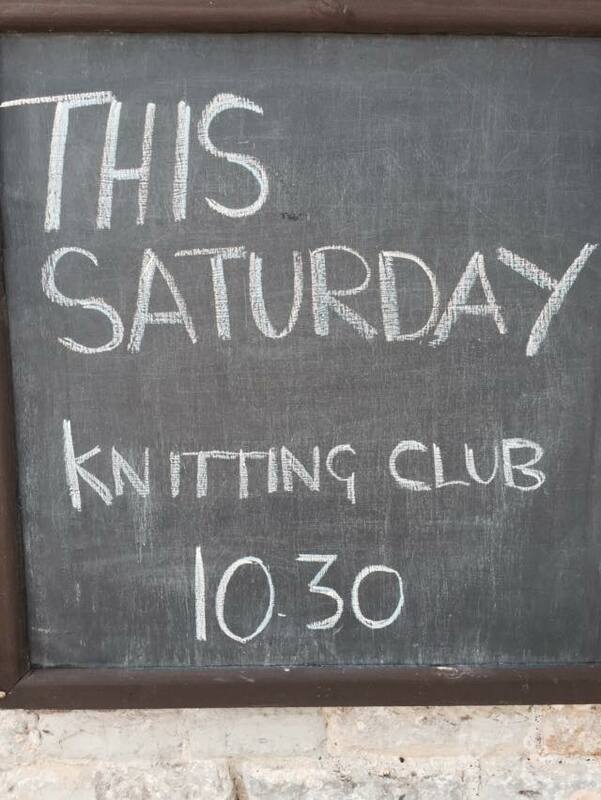 Kingsdon Knitting Club always welcomes new people, we have no membership just come along and join in, you certainly do not needto be a good knitter, there are always lots of other ways your help would be appreciated, all we ask in return is a £1 donation each month to go to the shop in thanks for letting us use their facilities. 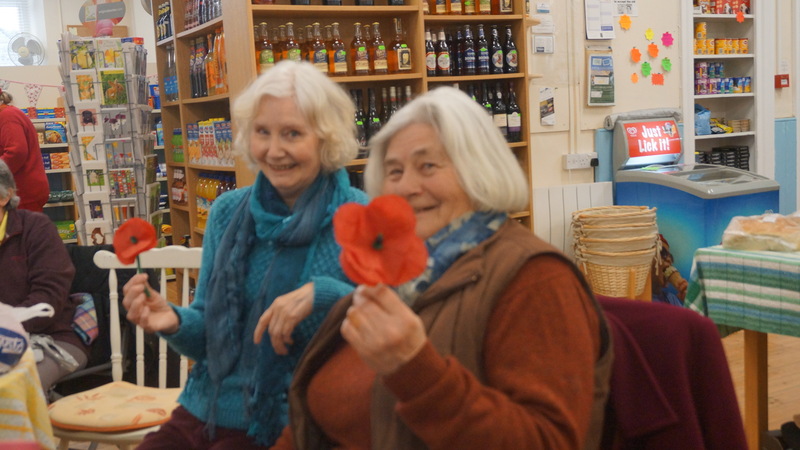 If you think you would like to join us we meet the Second Saturday of every month at 10.30a.m in the Kingsdon Community Shop, throughout the year, so why not join us for a coffee and chat. 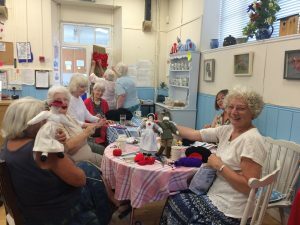 To celebrate the centenary of WW1 at the end of November, the ladies of the Kingsdon Knitting Club are busy working on a display to be exhibited in the village church. 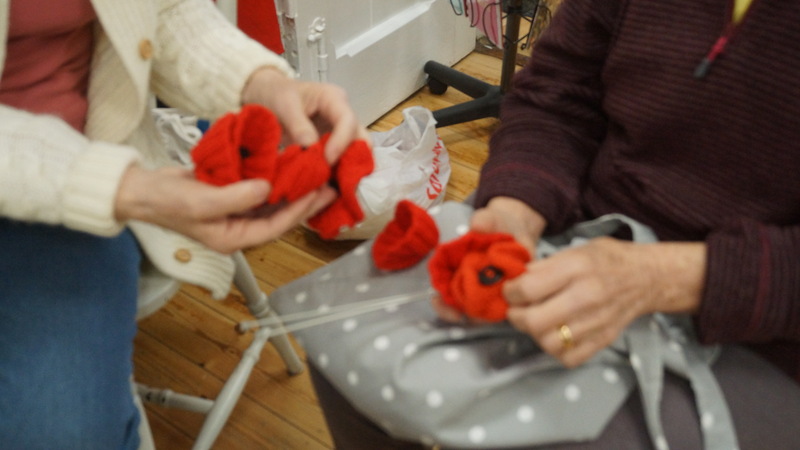 So far over 500 poppies have been knitted and crocheted, numerous knitted dolls have been made and dressed to represent all aspects of life during the WW1 period, including members of the armed forces, nurses etc and women who worked hard for the war effort on the home front. 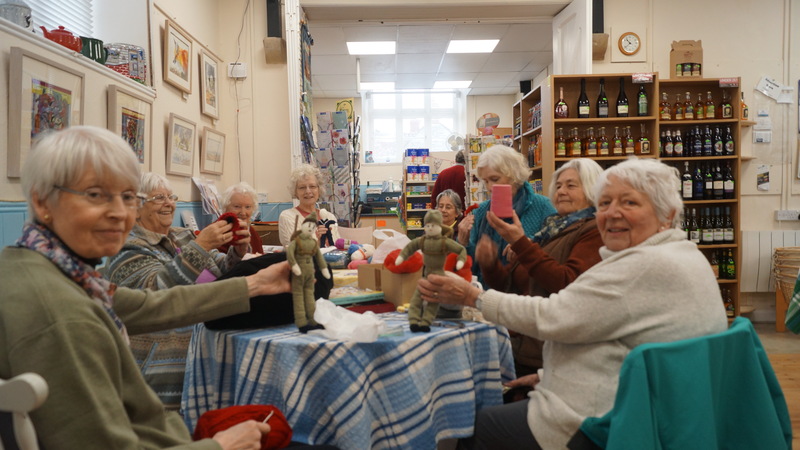 Add to this knitted pigeons, dogs and horses plus photographs of the period and memorabilia, it has the makings of a wonderful commemorative display.